Earlier this year, we wrote in detail about the benefits of turbocharged engines. You can check out our full write-up here, but in short, we concluded that turbocharged engines are superior to naturally aspirated engines in both efficiency and performance. Recently, the powersport industry has moved progressively toward turbocharged units (see, for example, the Polaris RZR 1000 or Can-Am Maverick 1000). This is exciting for a few reasons, the most important of which being increased output and engine efficiency across the board. That being said, turbocharger failures can be incredibly costly, and sometimes they can cause a host of other problems with your engine. We recommend you have yours inspected as part of your routine vehicle maintenance. In the event of a breakdown (or if you’re looking to upgrade your current engine), don’t break the bank purchasing a new turbocharger through the OEM. Consider a remanufactured powersport turbocharger from nFLOW. With our recent acquisitions in the fuel injection / turbocharger industry, we’re able to remanufacture powersport turbochargers swiftly, effectively, and at a very competitive price. All of our remanufactured turbochargers are completely disassembled, cleaned, and inspected. If there’s a malfunction of any kind, our team of experts will quickly and accurately diagnose the problem. We’ll then replace all worn or damaged parts with new, premium quality components. Finally, we’ll reassemble the turbocharger with precision, adhering to strict operating procedures. It’s the same tedious process we use on our full remanufactured engines. 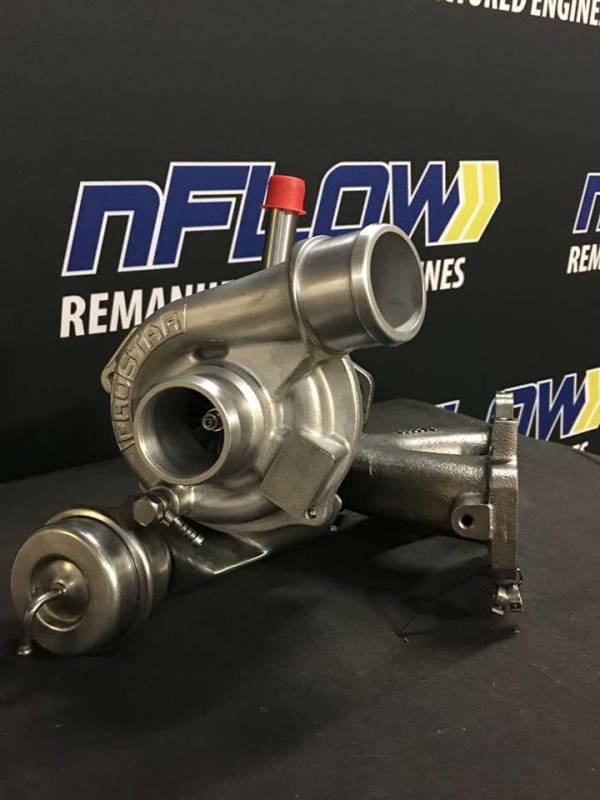 For a quote on a remanufactured powersport turbocharger, contact nFLOW today at (812) 867-0060.